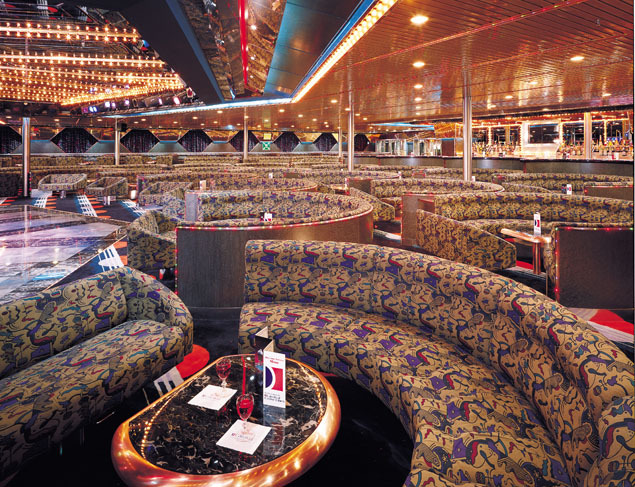 Carnival Ecstasy, with its new improvements promises to titillate any traveler's interest. The addition of a bar in the atrium, coupled with more space for the youth programs (i.e. more activities for the kids!) and a new wireless internet café, makes Ecstasy the perfect ship for the perfect getaway! 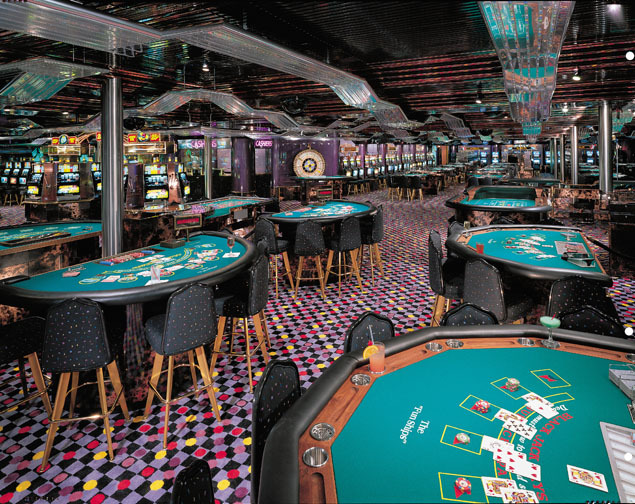 There are endless entertainment possibilities with something for everyone, whether it is cards at the Crystal Palace Casino or good company, live music and a cocktail or two at the Neon Piano bar. For something a little different, stop by the onboard arcade and play some video games. 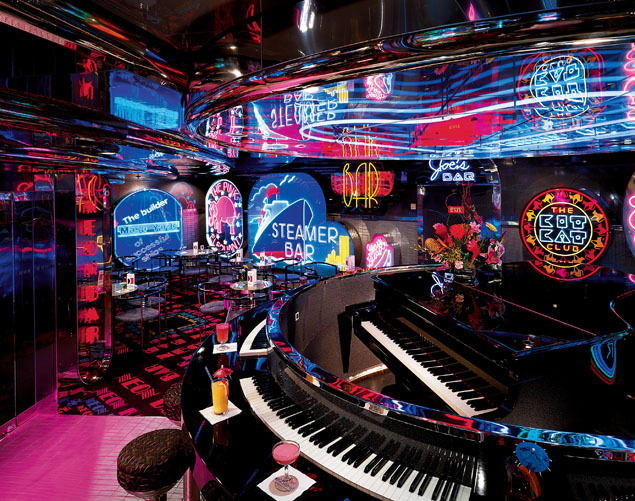 There are never-ending possibilities for the hungry traveler, so check out each of the ship's unique restaurants and cafés, with food to please every palate. Looking for a gift? The duty-free stores on Ecstasy have a great variety of presents for all ages - including watches, t-shirts, and even your favorite types of alcohol... and the best part, it is tax-free! 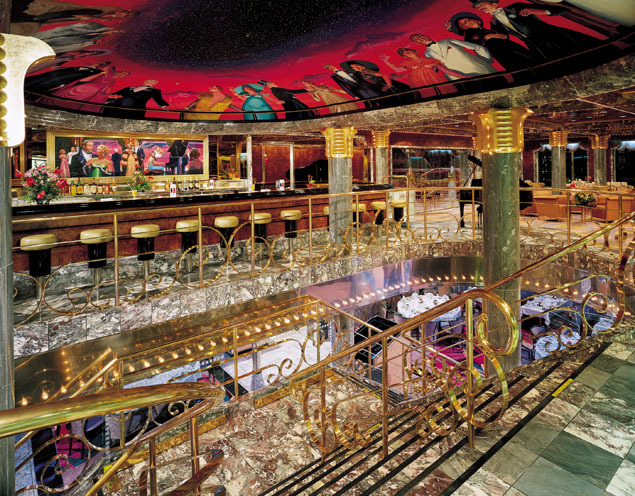 With themed bars, casino and lounges, a basketball court, two pool decks complete with whirlpools and snack bars, and delicious food... Carnival Ecstasy is the dream boat for your getaway! Even though Ecstasy offers short cruises, your time onboard will not be idle. 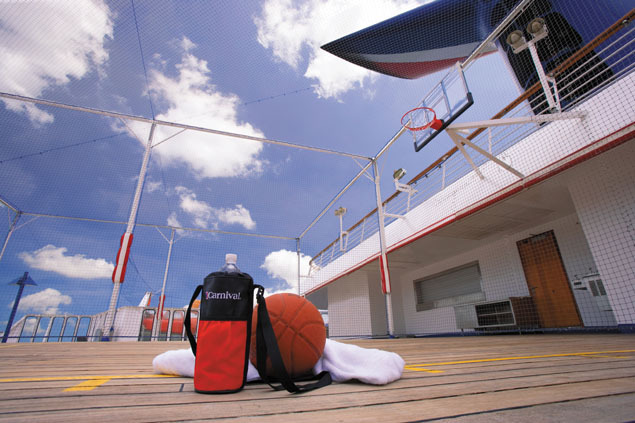 With onboard games such as ping-pong, shuffleboard, golf competitions, you won’t have time to be bored. The ship has three outdoor pools and six Jacuzzis and plenty of lounge chairs, if you need to relax from all your activity! For the health- and fitness-minded guests, there is a 1/8th mile jogging track, a fully equipped health club and spa, and a beauty salon/barber shop. Need some quiet? Go read in the library, or play some board games in the card room. There's also on-board closed circuit TV and satellite TV, VCR rentals, and a photo gallery. Drop the kids off at one of two different playrooms, and go shopping at the Galleria Mall! You'll be entertained for the entire trip, no matter what your tastes! Ecstasy offers several dining options. The formal dining rooms provide exquisite culinary experience including fresh lobster and a huge variety of wines, as well as great service! Fascination has the Supper Club, which is a reservations-only, styled like a chic Manhattan-restaurant. With favorite steakhouse menu items, the Supper Club guarantees to please with every bite. For the more casual diner, there are midnight buffets, a 24-hour pizzeria and even European Cafés so that you can satisfy whatever craving you have! For the youngest members of your family, the kids’ menu provides all their favorites including pizza, spaghetti and meatballs, hamburgers, hotdogs, and much more! At the end of a busy day, take a moment to relax on the deck and enjoy the night... watch the stars... have a cocktail. 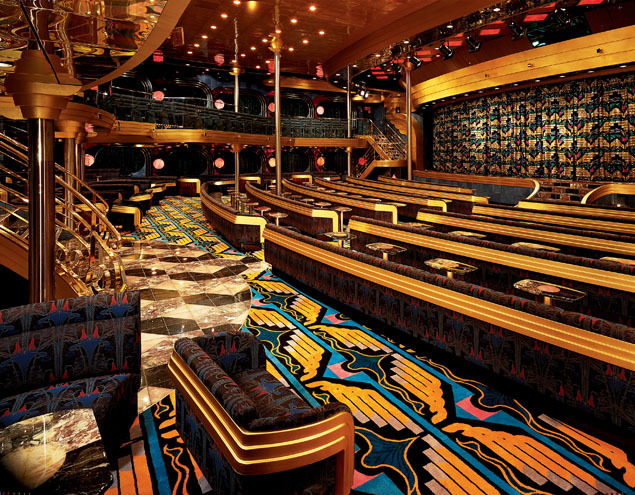 You'll need your energy once you head to the lounges, bars, and casino! With the Blue Sapphire Lounge (offering nightly Las Vegas-style shows), the Neon Bar, the Metropolis Bar, and the Society Bar, you can get your favorite beer or drink and enjoy the company of both new and old friends. Relax at one of the other themed lounges like the Chinatown Lounge, The Starlight Lounge, of the Explorer's Club. Walk down the City Lights Boulevard, or try your hand at games of chance in the Crystal Palace Casino. There is even a Teens Disco Club for the kids! If you have music on the mind, and you are in the mood to move your feet, then head to the Stripes Dance Club and dance until dawn!